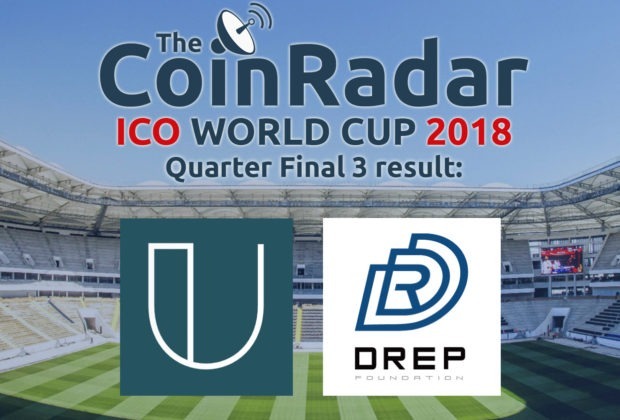 After a tumultuous vote the results of Quarter-Final 3 of TheCoinRadar's ICO World Cup are now in and, with Drep Foundation and Uncloak progressing through to the second semi-final, the latter stages of the tournament are beginning to take shape. The round began with Nauticus taking an early lead. In prior rounds the early front-runner has managed to maintain its momentum, and at the end of day one the trend appeared set to continue. 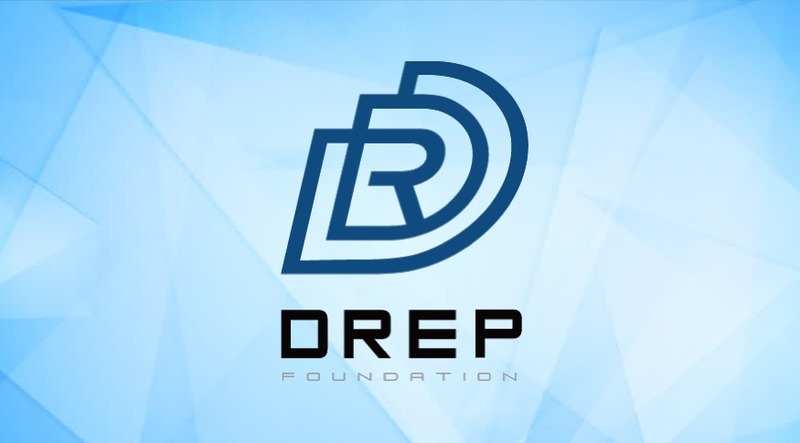 However, at this point the Drep Foundation community got on board and so half-way through day two it created what amounted to an unassailable lead, eventually collecting 57% of the votes. With our review behind it, it could be expected that Nauticus' initial lead would allow itto slink home in second place. Instead this round proved itself to have more twists and turns than a Diego Costa goal, with Uncloak breaking through in the final hours to clinch 22% of the vote and the final available place in Semi-Final 2. Unfortunately, a Chinese public holiday fell during the vote and so Usechain's community was otherwise engaged (and their marketing team was wholly-ineffective in truth). 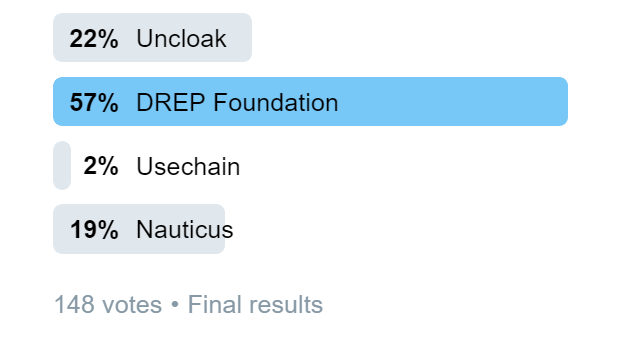 And so Drep Foundation and Uncloak's progression now leads us tidily onto QF 4, a round in which the four projects offer us four different themes - only two of which will be able to challenge Drep Foundation and Uncloak for a place in the Final. First up is Carry Protocol. Like PDATA in Semi-Final 1 it resolves around personal data. However, the difference here is that the data that Carry Protocol users will control and sell is specific to offline transactions, and the major benefit is that the tokens earned by Carry Protocol's users will be able to be spent on the very sort of offline purchases that generate the transaction from which they will earn future tokens. Undoubtedly a virtuous cycle. Ankr Network is very different. Here we have a decentralised cloud computing solution. 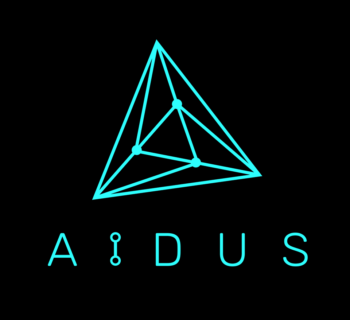 The innovative use of a Proof of Useful Work consensus algorithm will ensure that the network is powered not by block hashes as Bitcoin does, but by the completion of tasks suggested by companies and users meaning that - in a very real way - it will pay for itself. Next up is Origin Protocol. 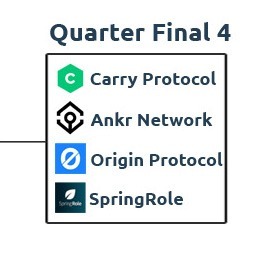 Arguably the most disruptive of the four, Origin Protocol aims to direct profits away from internet behemoths such as Airbnb and Craigslist and into the hands of such sites' users and, having raised over $28,000,000 in pre-sale, could be set to do just that. Finally we have SpringRole. SpringRole is, for lack of a better phrase, a blockchain-based version of LinkedIn. 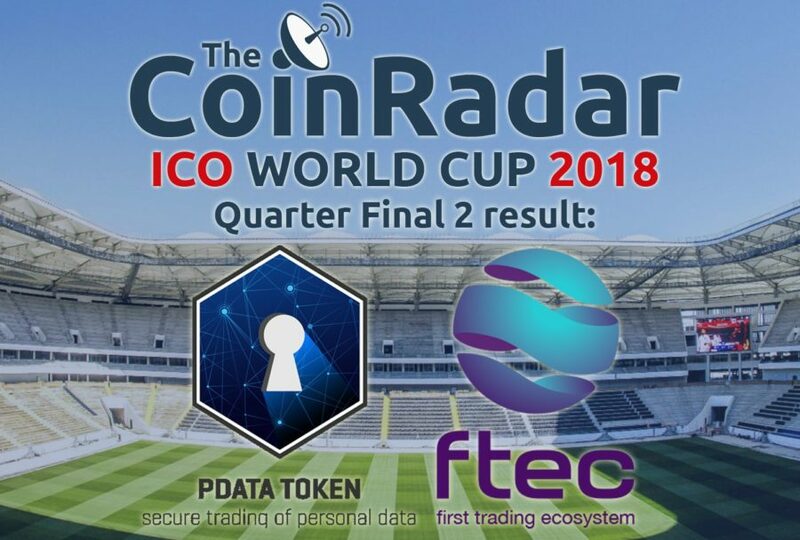 The main difference is that each profile must be verified to ensure authenticity, and that endorsements will result in rewards for both the user and the company. As you can see, all four are attempting to utilise the blockchain in different ways. 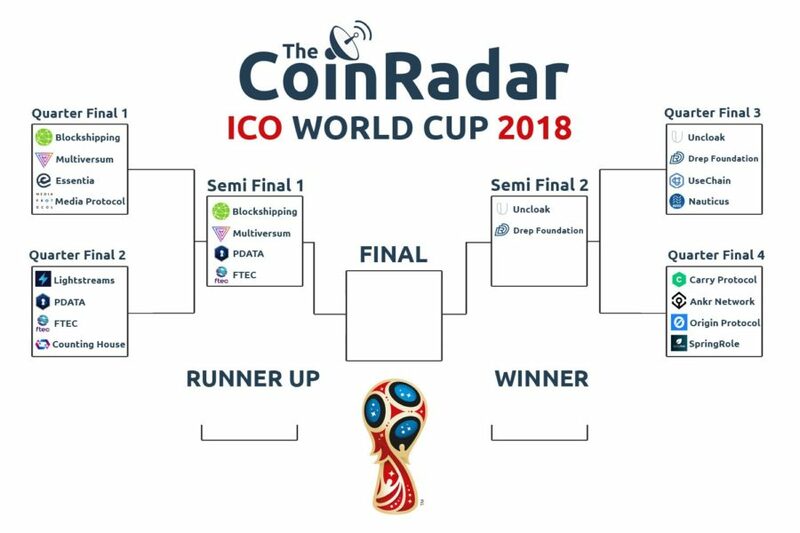 To vote for your favourite ICO in QF 4 of TheCoinRadar's ICO World Cup 2018, please head to our Twitter page.